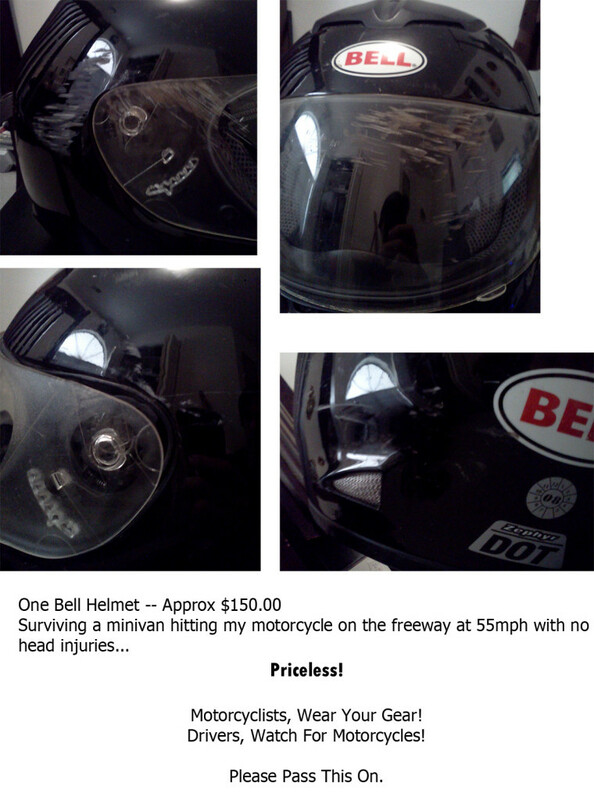 On Friday (June 8th 2012) I was hit by a minivan on a freeway on-ramp. I was traveling at about 55mph. I was thrown from my bike, tumbled, and my helmet hit the asphalt about 4 times (impact marks are shown below). I survived with no head injuries Because I Wore My Helmet! I was wearing my Cortech armored jacket, carbon fiber reinforced gloves, the helmet, and special motorcycle shoes. Everything combined helped me survive.